EVERBRIGHT PRODUCTS (EBP), Chennai, was by founded by Sri. D. Balasundaram with a long term vision of manufacturing quality products which meets the growing demands of the customer in the stainless steel industry. 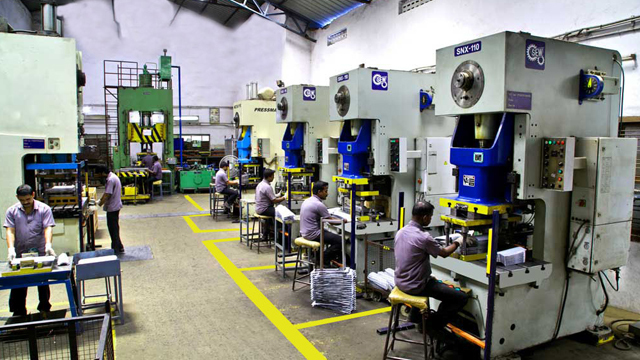 EBP diversified into sheet metal stampings and allied fabrication with the induction of Sri B. Saravanan as Partner, who holds a Bachelor's degree in Industrial production. Sri S. Hareshwer, third generation entrepreneur who holds a Master's degree has been inducted in the business to spearhead development and implementations for making business processes more effective. EBP is committed to QCD parameters and it's demonstration has earned a preferred supplier status from all its leading customers on the products they offer.